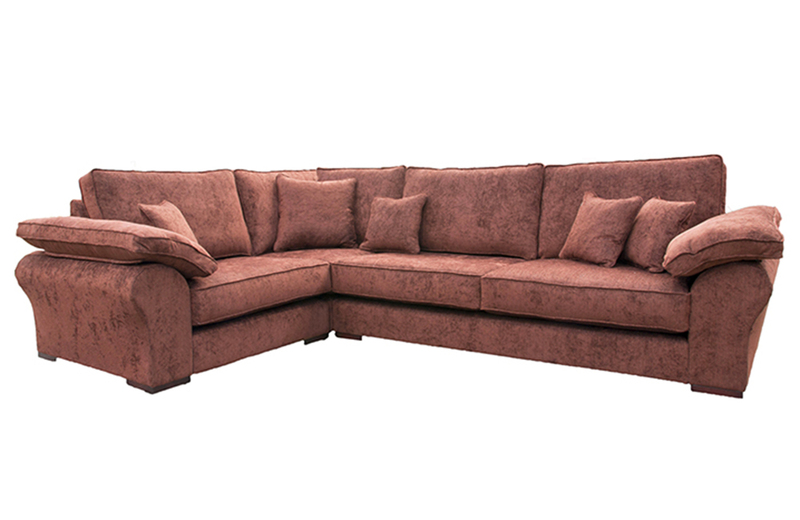 One of the biggest draws in the Finline showrooms has to be the Corner sofas. Each model has it’s own individual merits, and so we come to the Greek Gods of our collection, The Atlas. 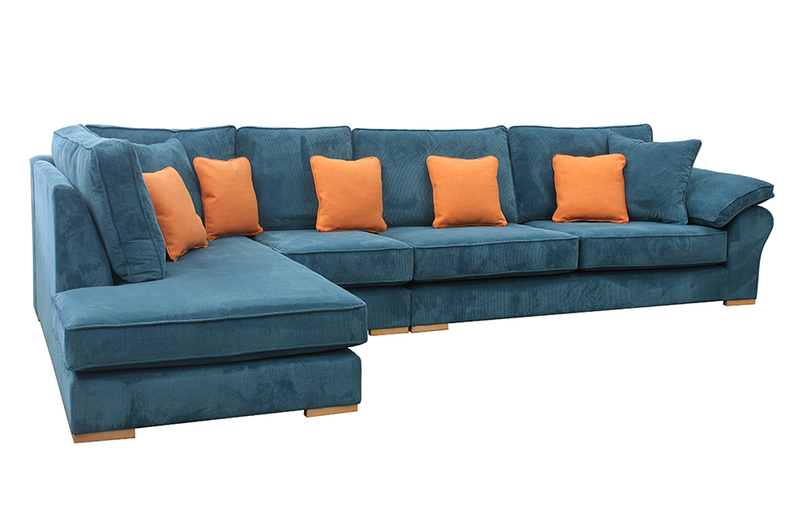 The Atlas Collection is a series of corner, sofas, chaise, footstools & island units and the Apollo armchair. 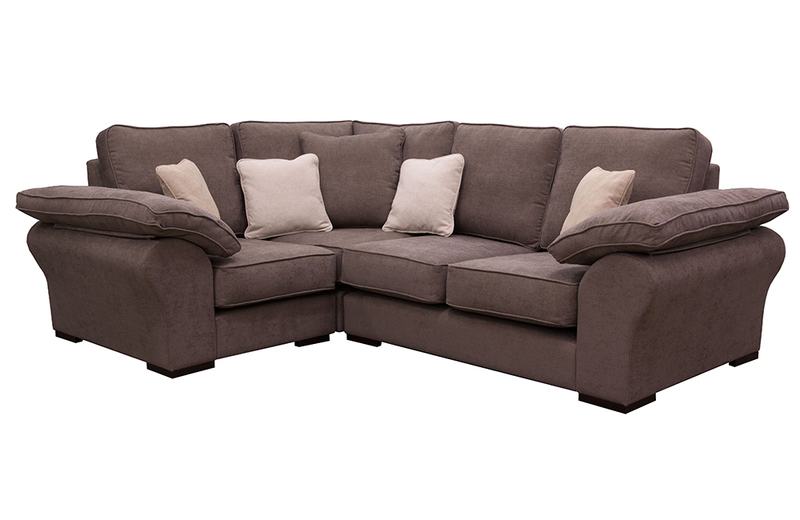 This is a modular piece that can be built to suit your room – with and without arms, extra pieces, U-Shaped sofa units and corner sofas. The Atlas group features the highest back of all the corner groups, which is very supportive, given the generous 107cm depth of the Atlas pieces. Even the very tall amongst us, finds this a very comfortable and supportive model. 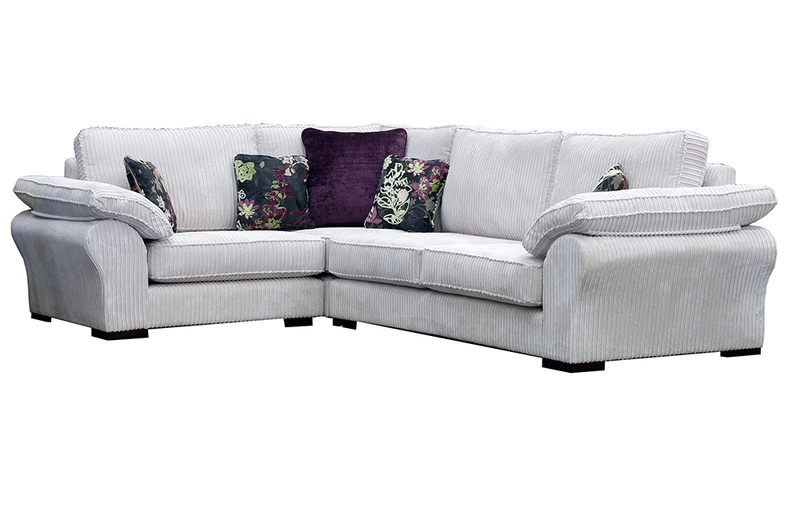 The Atlas features a Saddle arm, which in linen, velvets and textured fabrics, gives it a very tailored Italian look. 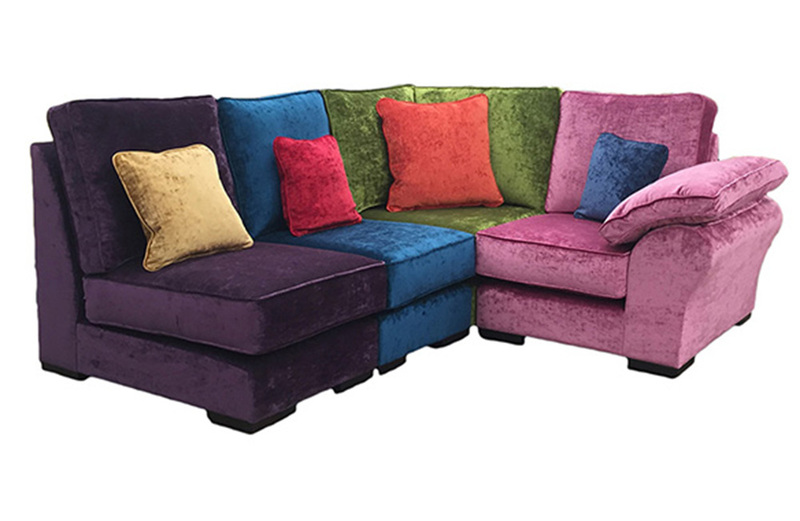 In the casual cord velvets, it looks squashy and inviting, a sofa to spend the long Irish winter’s in. The matching chair for the Atlas is the Apollo Arm- chair. This Atlas can finish with a chaise also. 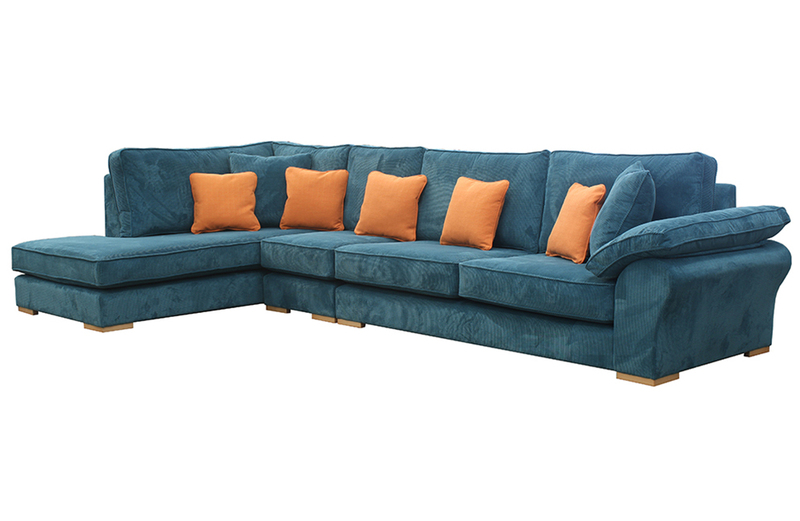 The Atlas Collection comes as a Large Sofa, Small Sofa, Love Seat & an Armchair & with a matching footstool or perhaps an Ottoman to finish the look. 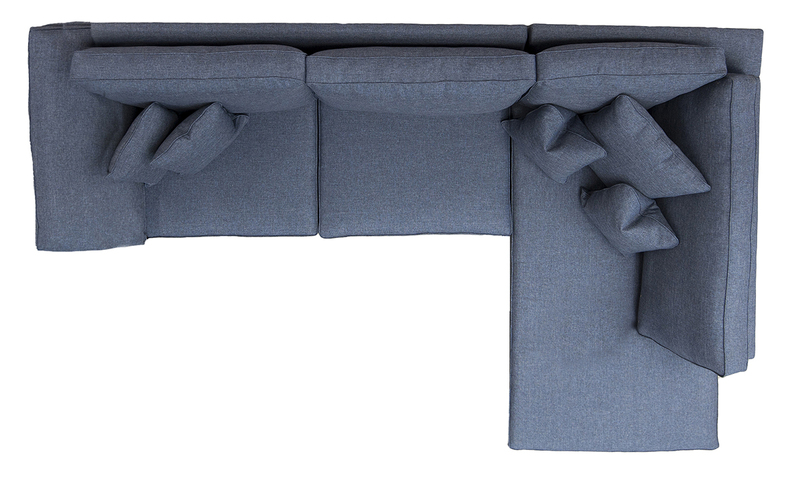 Each module for a Corner Atlas Sofa can be amended to any size with the option of adding an arm or without an arm. Bring your measurements and we will help you plan for the space you have.